Twenty six O’Pen Bic’s competed this last Saturday and Sunday, August 17-18 in the high Wind Slalom at the AC Open in San Francisco and showed the AC72’s how to sail in the Bay winds. Kids aged 9 to 15 from several countries, including New Zealand, Australia and Bermuda, and from around the US competed. The Bay area was well represented by the St. Francis YC and the Inverness YC. On both days when the 2nd AC race was cancelled due to “high winds”, the kids cheered and got on the water and literally flew around a complicated giant slalom course. These kids were both skilled and tough, and their boats didn’t break. The O’Pen Bic is a fast, lively, highly maneuverable boat, and these kids made them dance in the 20+kt winds of the bay. Nevin Sayre from Bic, co-organizer of the regatta, established the rules and rule #1 was to “Have fun and if you don’t have fun you may be publicly embarrassed”. Rule #1 was never violated. There were nothing but smiles and cheers. Mike Wollman from Bermuda won the regatta with many firsts, but Mikey had many kids close and hot on his tail in every race. The kids competed in sixteen races, improving their skills with every race. 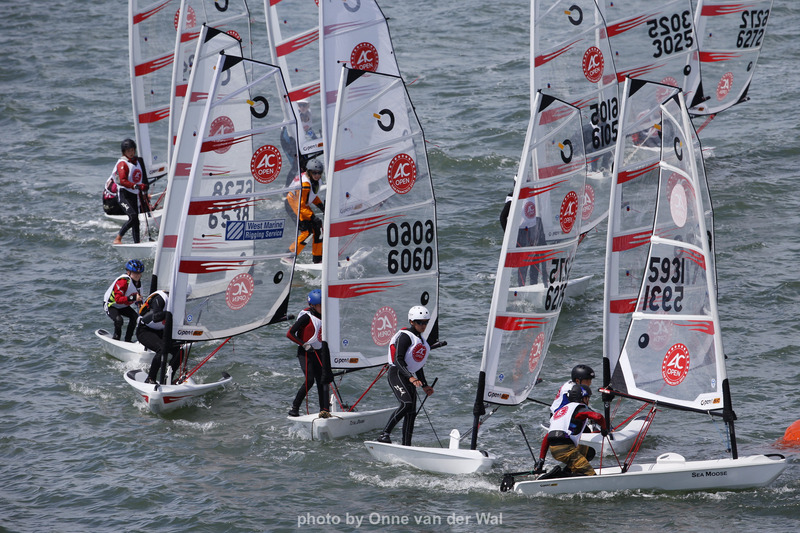 The regatta ended with a several minute “Expression Session”, during which the kids did everything from “wheelies”, “tack-around-the mast”, the “superman drag”, head stands and reciting of poetry! 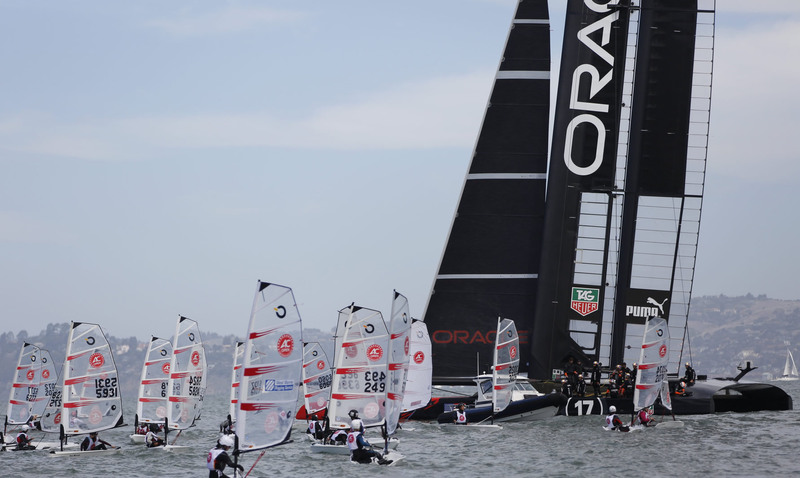 At one point, Jimmy Spithill on Oracle 1, cruised by very close to acknowledge and cheer the young sailors. The kids were really pumped. Many new friends were made and new Bic regatta’s are in the works. We at the Inverness Yacht Club (IYC) have already started the process of organizing a totally cool event in Inverness with the St. Francis YC. We at the IYC want to thank the AC organization for their great support with everything from crash boats to their high tech media boat and certainly to the Bic organization for hosting this event, the memory of which will stay with these kids for life. Thanks to Robert Stevens for the words, pics by Onne van der Wal.